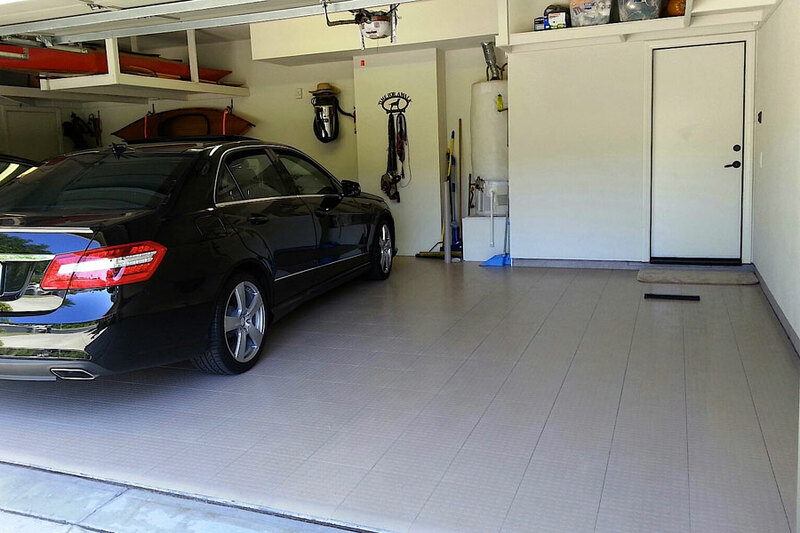 Description - Grid-Loc Coin series floor tiles are designed to withstand the harshest environments commonly encountered in garages. These tiles are made to handle extremely heavy rolling vehicle loads and are resistant to oil, grease, antifreeze, petroleum products, and many other household chemicals. These tiles are also stain resistant, odorless, slip resistant, and UV stable. 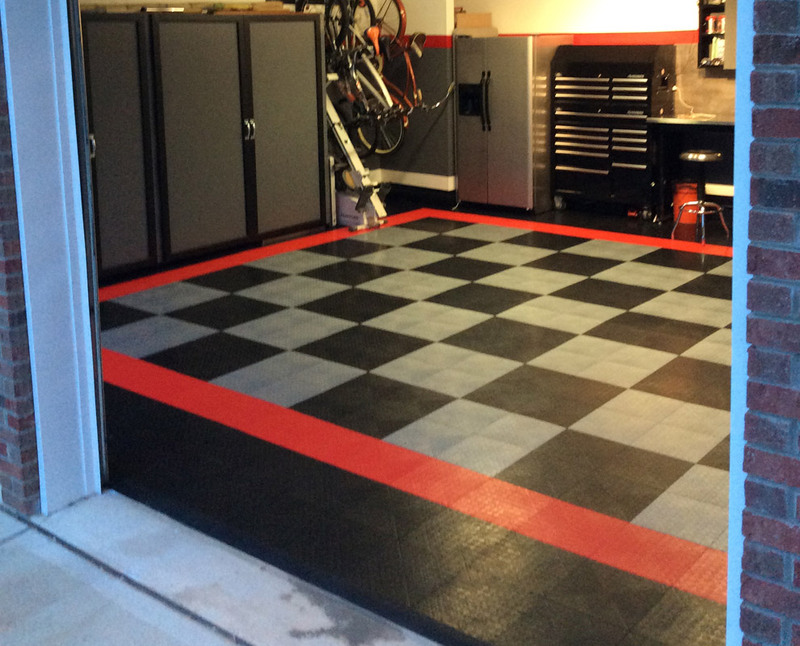 Installation is as easy as snapping together adjacent garage floor tiles to form a beautiful and customizable garage floor covering for years to come. 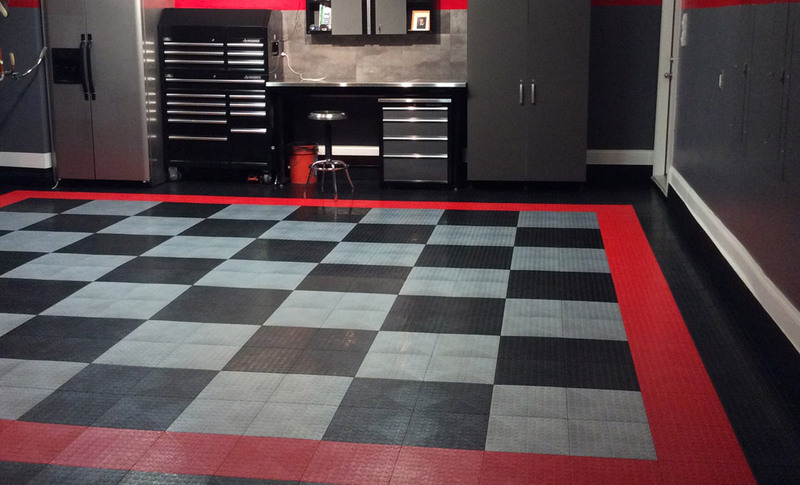 These garage floor tiles are also priced low to sell in volume. Don’t mistake the discount pricing though for the competitions cheap garage tile alternatives, these tiles are of the highest quality and we guarantee them with an industry leading 12 year warranty when used as modular garage flooring. Material – Constructed of the best high quality impact resistant polypropylene (extremely durable hard thermoplastic polymer) available. 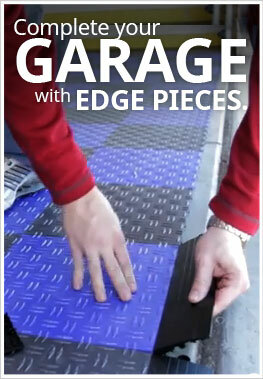 This ensures colorfastness, durability, and chemical resistance in each and every Grid-Loc garage tile. Recommended Uses – Grid-Loc Coin series tiles are truly built to be a multi use discount priced floor tile. These coin pattern tiles can be found used successfully on garage floors, on auto show and car dealership show room floors, in commercial and residential garages, as designer retail display flooring, and any other place where a modular floor tile system that is slip resistant, customizable, and extremely durable would be beneficial. Vacuuming or sweeping any loose crumbs, dust, or debris from the garage coin tiles when necessary. Hose off or damp mop the garage floor tiles with a mild soap and water mixture for tough or caked on dirt and/or stains. UV stable, can be used outdoors. Can be used with Vented Grid-Loc tiles. I have a basement that gets wet during heavy rains. It does have two floor drains, so standing water is not a problem. I'm thinking about using the coin grid-loc tiles. My question is would these tiles be suitable for this application. Is the bottom designed so water will flow freely underneath the tiles to the drains. It looks like it would but I'm not sure. Thanks. Our Coin Grid-Loc tiles would perfectly in your basement. These tiles do allow water to flow underneath the floor. So the water would flow to your drains with ease. If water does get on the surface of the tiles, you will want to try and clean it up as quickly as you can. Water on the tiles could create a slip hazard. Could you use these tiles in a commercial kitchen? Our Coin Grid-Loc Tiles are a hard plastic tile and would not provide the proper slip resistance in a commercial kitchen environment. These tiles are also very hard, so they will not give you any anti-fatigue properties. If a coin pattern is what you are looking for, we do have that same pattern in an anti-fatigue mat. It is our Bubble Sof-Tred. This mat would work great in a commercial kitchen environment. I have a covered concrete porch that doesn't look great; there's a 1/4" crack that's about 2 feet long. Could I use these tiles on my porch? Would what I do about the edge? You can use our Coin Grid-Loc Tiles on your porch. For the edge, you can use the beveled corners and edges to create a finished floor. Since this material is hard plastic, am I going to have a problem with my wife and I slipping on the surface? Could this be dangerous on my garage floor? Our Coin Grid-Loc Tiles are ver slip resistant due to the coin pattern on the surface of the tiles. This tile would not be dangerous as your new garage floor. What is recommended to be put under the tiles to eliminate sound and keep all moisture from reaching floor. We recommend placing a rubber underlayment underneath our Coin Grid-Loc Tiles to help to deaden the sound the tiles can make when walked or driven over. Water will still get under the tiles, but it will collect on the surface of the underlay. The product we recommend is our 2mm Shock Pad. After building my house over the last few years my garage had become the dumping ground for any leftover building materials. Made me crazy, every time I was looking for something and took me longer to find stuff than doing the job I had planned to do, I am sure you can sympathies! I finally cleaned up the garage, gave it a new coat of paint and built some storage cabinets. The truly finishing touch was to put down some flooring, after researching on the web the best product and price was from Garage Flooring. Ordered Coin Grid-Loc Tiles, they shipped fast and did not disappoint! 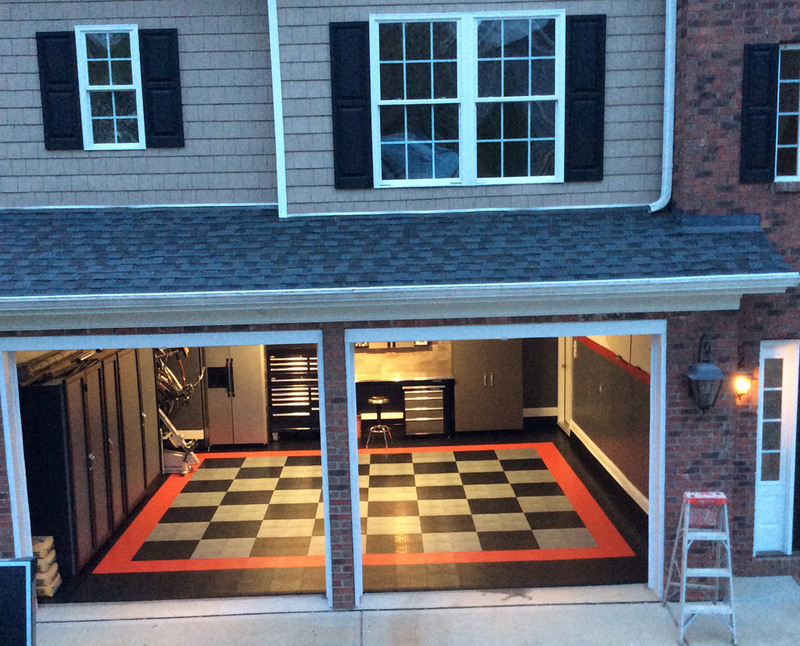 Please see my photos of finished garage. As others have stated in their reviews this is a very good product. They ship quickly and the product goes down easily. I did put down the roofing felt that others had recommended but I still did my whole 19' X 19' garage by myself in about 4 hours. One tip... instead of using a hammer, I would align the corner connecting to the others in place and kick it in with my leg/feet. Kept me from having to bend over very much. I wound up being short 3 pieces due to my own error, so I ordered those. They promptly sent them to me without any shipping charge! I would say these are great folks. I did our 3 car garage in two afternoons (had a lot of stuff to move around, etc.) Used foam underlay from local builder's supply store so their is no clacking when walking on it. A jigsaw with a fine blade did a good job for all the cuts, etc. The order process and delivery co. was absolutely "first rate" and it arrived much faster than I ever expected. I also painted the concrete edging around the garage floor wall with a color matched paint for a finished look. I really like it and personally think it looks better than my friend's epoxy garage (for about half the price) plus it is much more comfortable to walk on/kids to play on/etc..